Last month, Tiffany and I experienced a first. 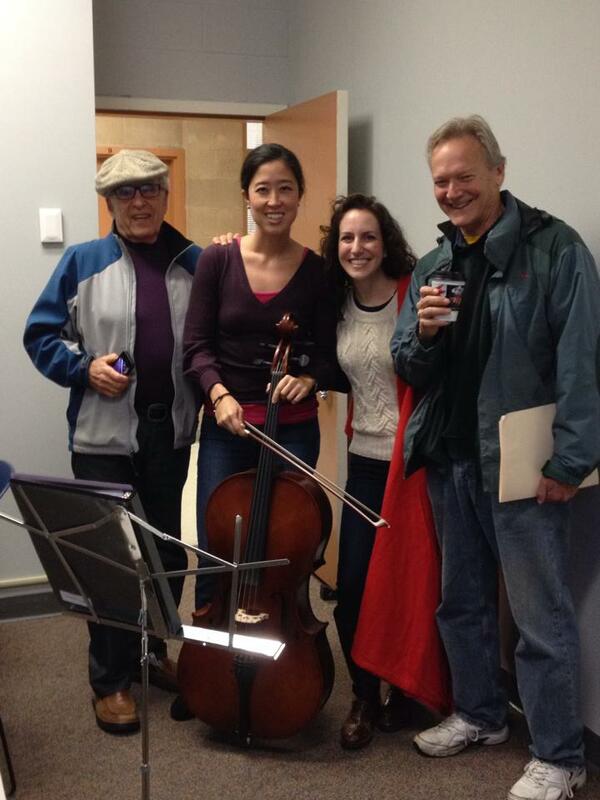 For the first time, with cellist Jonah Kim, we performed at a Juvenile Detention Center. As I have processed our visit, I thought back to childhood. Growing up in a multi-cultural family, I remember noticing from a young age how people tend to associate with those similar to them. I remember the athletic kids huddled together at recess. I remember the crew of nine Puerto Ricans at the music camp, Meadowmount. I remember the clique of Koreans at Juilliard. I noticed a comfort and ease between people sharing backgrounds, language, interests, philosophies, ideals, and even how they look. We gravitate towards what is familiar. Last month, I was challenged to push that boundary farther than ever before. As I prepared the program and content for our visit at Juvenile Hall, I suddenly became scared. Not scared of the kids, but scared that our visit would seem pointless or even stupid in the context of the hardships they have endured and face daily. I spoke with several people who have worked with troubled youth. The overriding advice they all stressed was to “be yourself.” The gift to them, or anyone for that matter, is showing up. The facility is situated in the middle of the beautiful Northern California trees. After checking in with the girl behind the glass window, we entered through two heavy doors. The loud sound of the doors locking was startling. As we began the program my nerves eased, especially as I looked over at Tiffany’s sweet smile. Closer in age to the youth, Jonah Kim made an immediate connection, even referencing Tarantino films. We played some Dohnanyi and Goldberg Variations. Some kids were more out-going, asking questions between movements. Others were quiet and I wondered what they might be thinking. Did they like the music? We played Happy Birthday in honor of one of the youth. The hour sped by. It was joyous and very special. The youth told me the performance was the most beautiful thing they have ever experienced. Some say that for that small period of time, they went on a magical ride, away from the stress of their situation. Some say they wanted to cry at how beautiful the music was. Others describe it as a movie, sometimes making you sad, then stressed, anxious, inspired, excited, and alive. They are still talking about it today and were very pleased to hear that you were planning to return. A few of them also asked me more questions about Jonah. They absolutely loved him, the obvious friendship the two of you share, your friendly banter, and of course the amazing music. Truly one of the most special things that we have been able to bring to the youth here. I have no voice amongst others. that we don’t have to see that day. I have sadness and pain in my heart and soul. I pray every night asking the lord to let me go home. I don’t know when, because only he knows. Until then I still remain here getting educated and two months I’m going to graduate to make my family proud even though I’m in here. I’m going to show them that I want to be someone in my life. Though we are all so different, we are also so much the same. We all desire love, a sense of belonging, a voice, a purpose… Thank you to David Kaun and Dennis Morton (pictured below) for connecting us to this community. We look forward to the continued relationship and returning to play for the youth!